Although our current peak income tax rates are at a very reasonable 30% level, it would surprise a few to know that in the 70s they were at a ridiculous 90% plus. I think our attitude to income tax is a legacy of those times. The majority of us would invest our money anywhere without understanding the merits of investment, if we were told that the investment would save tax. A few years back there was a tax saving option under a sec called 80ccc. This could be availed only by investing in Pension schemes. A good way to ensure that people saved for retirement? Yes of course. The only hitch was that the tax benefit on the investment had a limit of Rs. 10,000 only. So guess what? Nobody invested more than Rs. 10,000. Lots of 10 and 20-year pensions were bought with a yearly premium of Rs. 10,000. Now imagine after 10 years when the policy matures, the amount vested for an annuity even at an optimistic rate of return (8%), gives Rs. 1.4 Lakhs. What sort of an annuity is this corpus going to generate? Rs. 10,000 p.a.? Is this in any way fulfilling any Retirement plan? But nobody thought about that. Everyone was focused on saving that Rs. 2000 or 3000 tax for the year. Worse, people felt they were smart by using all the available avenues of tax saving as also satisfied that they were doing their duty towards themselves and their family by investing their savings. Another case in point is buying Life Insurance policies. Barring a few years of ULIP popularity, the most favoured insurance product is the Endowment Policy. It is an opaque and expensive scheme bought exclusively for tax saving. Bound by IRDA regulations, most of the investments of this product are made in Govt. Bonds. So you are stuck with very low returns for investments being done over a long period of time. The disadvantage of this product is that firstly, it is very illiquid; you can’t withdraw money for the next 2 decades or more (if you do surrender values apply, which means you lose money) and secondly and more importantly, it is not even fulfilling your insurance requirement adequately. You can never buy adequate insurance with Endowment policies, as they are just too expensive. Tax saved is money saved is money earned. Money saved (not spent) is also money earned. Money invested and returns generated is money earned. Ultimately, we save and invest money to spend it on the financial goals we want to achieve, on fulfilling our dreams and aspirations. Do we ever stop to think what they are? Preparing a financial plan is very critical to start on this path. 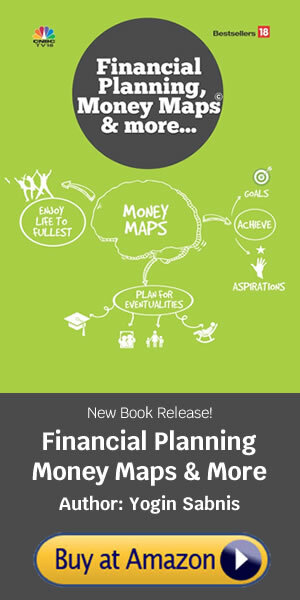 Once we articulate on paper what is that we are really hankering for or what are our true financial goals, we can get on the path of investment planning. Once we do that our battle is won because the investment plan now gives you choices of investment products, which are in line with your requirements, and in that space there are ample products, which also help you save tax to the maximum limit.